There are thousands of students who wish to obtain an MBA degree. 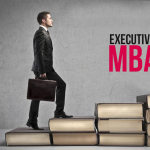 MBAs from the top IIMs of India are highly prizes and those with a degree from these prestigious institutions can hope to land a good job and advance in their career. However, it is no easy task to obtain admission and you could lose out by just one percentage point. It is not the end of the world. 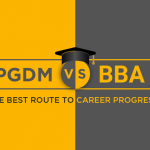 There are PGDM/MBA colleges in Delhi that are just as good or even better. If learning is what you are after then you can expect finest coaching. After all the finest MBA colleges in Delhi are owned and operated by past alumni of IIMA, considered one of the best IIMs in India. Just how exactly is teaching here better? For one, the classrooms have the finest in audio visual equipment. Importantly, faculty is knowledgeable and experienced. More to the point, each one cares for each student because success of students is important. It ensures their reputation is enhanced if a student does well. There is a degree of personalised attention available here that is lacking in the larger public institution. From another perspective one reason why students try to get MBA degree and that too from the best institutions is that they can expect good placement. In this regard too the best PGDM colleges in Delhi NCRoffer exceptional placement services with a starting minimum package of Rs 4 lakhs and over. While on this topic one must state that students regularly undergo internships. These internships are usually unpaid, which actually works as a disincentive for both the company and the student involved in the internship. The best PGDM/MBA college in Delhi engages its students in internship but only on a stipend basis with a starting minimum of Rs 15000 per month. Placement activity starts early and, since Delhi as well as Gurgaon and NOIDA are where the best multinationals are located, students can expect placements in top companies. Your future is secured the moment you succeed in gaining admission to the best PGDM/MBA college of Delhi. Talking about admission, the norms are tough but not quite as rigid as IIMs because we also give importance to personal interview and see the overall aptitude of the candidate. Marks are not the only criteria. Only those who are good enough and deserving make the grade in admission. Then there is life in PGDM colleges in Delhi NCR. It is a well-rounded life. Students are expected to study first but not be up to their necks in it. There is the physical activity side because a fit body helps students study well. Then there are social activities. Students can form relationships that last for life. There are subtle things too. 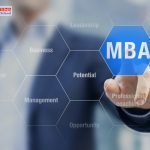 MBA graduates are expected to be leaders and set an example and they learn all about inter-personal behavior as well as social skills and etiquette. Once you pass from here you will find yourself a complete manager, perhaps better trained than you would have been in a larger institution.